Misconception 1: If you buy a high-quality powder spray booth, you won’t need to change the filters often. Every powder spray booth needs to have the inexpensive filters changed regularly. 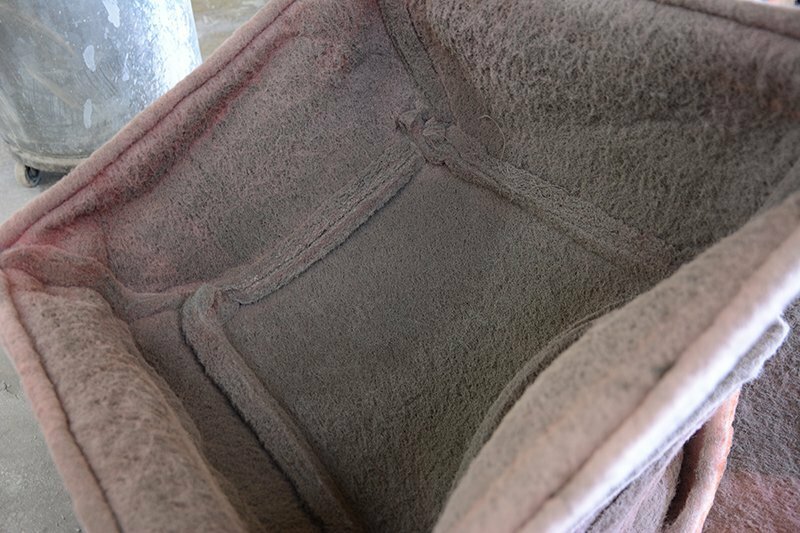 Not changing the filters can significantly reduce performance and damage the equipment. No matter how well designed a powder coating booth is, the filter media that it uses can make or break its performance. One of the biggest misconceptions around is that a good booth doesn’t need expensive filters or doesn’t use cheap ones up quickly. All o powder spray booths either have very expensive cartridge or cyclonic exhaust filtration systems or use disposable filters that must frequently be replaced. A booth that is cheap on filters isn’t doing its job! One of the main reasons that shops buy booths is because they want to turn out better quality powder coated finishes. They need to be able to get a clean finish every time. They also want the booth they buy to be long lasting and dependable. By using cheap filters or running equipment with dirty filters (or even worse, without filters), the owner saves a little in filter expense but costs the shop a great deal over the long run. A booth that uses disposable filters but doesn’t get frequent filter changes won’t have enough airflow to get top-notch results. Trying to stretch things out by postponing filter changes only makes the equipment’s performance decline further. Many powder spray booths are equipped without doors. 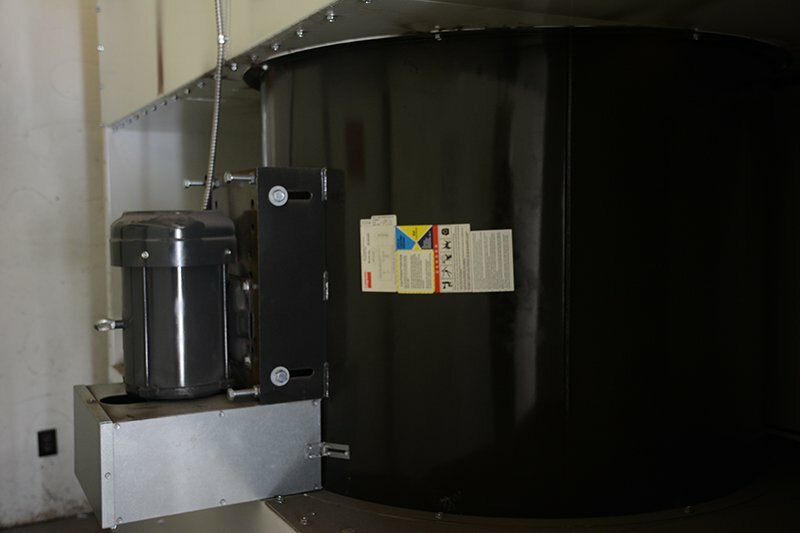 If you have a relatively clean shop, filtered doors or wall or roof-mounted intake filters aren’t a necessity when working with powder, but compromising on exhaust filtration is a mistake. 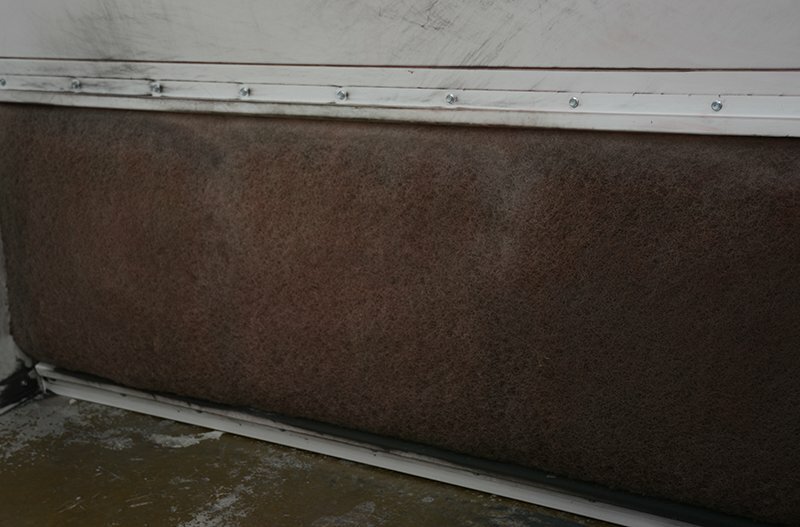 Using a cheap panel or blanket filter instead of a cartridge filter system or multi-stage disposable filter system may reduce a shop’s filter costs, but it means that debris gets blown back out into the shop atmosphere during use—which creates an increase in airborne contaminants. More contamination translates to more reworks. The reason you don’t have to change cheap filters as often as premium filters is because they are not filtering out as much trash and overspray. It also usually means that the exhaust fan is taking a beating from airborne dirt and powder overspray. Over time, powder builds up on the exhaust fan, reducing the amount of air it can move and adding stress to the motor and drive system. 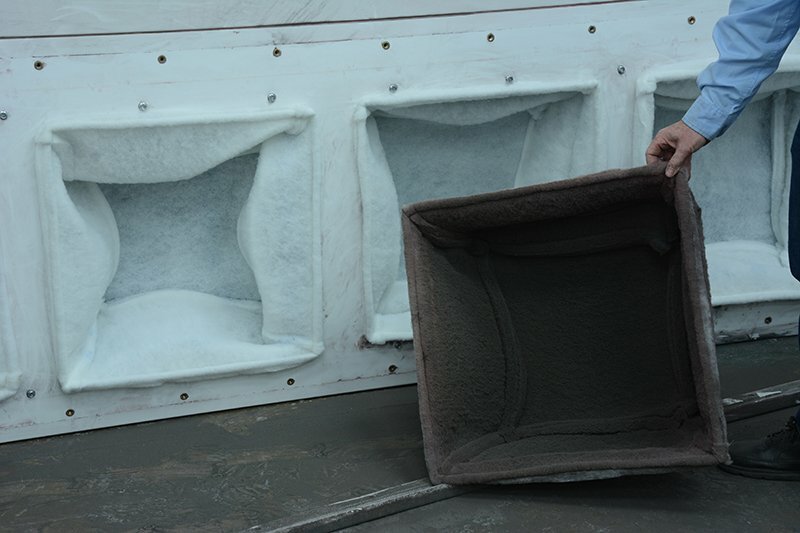 By using inexpensive filters or using filters beyond the point that they should be changed, operators increase their long-term costs for a variety of reasons: clogged filters reduce the effectiveness of the exhaust and make it harder for the coater to do a good job, poor filter maintenance results in more incidents of booth down-time, increased dirt in the finishes means more reworks, inconsistent performance keeps the coater from mastering booth and gun operation, etc. Powder spray booths from Reliant Finishing Systems all use premium filters and we recommend regular filter changes. Misconception 2: All powder spray booths that have the same airflow rating (such as 12,000 CFM) work about the same. When purchasing a powder spray booth, know what kind of fan(s) the exhaust system uses so you can anticipate how the booth will perform as the filters begin to fill with powder. Powder spray booths all have exhaust fan systems that are rated based on how much air they move. This is measured in cubic feet per minute (CFM) of airflow. Some companies improve their ratings by using theoretical values. Basically, they use a performance rating that can only be reached if the exhaust has been detached from the booth and filters. To understand how robust a booth’s exhaust really is, it’s critical to find the static pressure at which the booth’s airflow is being measured. This is measured in inches of water column (shown by using the inch symbol with or without the initials w.c. or s.p.). In order to compensate for the restrictions of filters, ductwork, etc., on the exhaust of a powder spray booth, the rating should be at 1” or more of static pressure in order to be meaningful. Powder spray booths from Reliant Finishing Systems are typically rated at 1.25” to 5.75” of static pressure, depending upon the type of booth and exhaust. There are two main types of fans that are used in powder spray booths and ovens: “propeller” style and “wheel” style. Propeller style fans include tubeaxial fans, some so-called turbo fans and others. Wheel fans include single and double inlet forward-curving fans, barrel fans, backwards-inclined fans, “squirrel cage” fans, and others. Propeller style fans work well at lower static pressures. They’re usually not as efficient under load and they tend to be noisier, so they are less common on automated or constant-process lines where the exhaust must overcome the load of a restrictive, low maintenance filter system. Since powder spray booths use filters that increase the load the fans must overcome, propeller style fans can run out of power unless they are configured with adequate motors mated to ideally sized blades. Contaminated filters can reduce a low quality or underpowered 12,000 CFM propeller fan to less than 8,000 CFM with no real warning except for poor air movement. When considering a product that uses a tubeaxial fan, make sure that the advertised airflow is at a reasonable static pressure. A premium quality tubeaxial fan, mated to a reliable motor of adequate horsepower, can provide good exhaust performance at an economical price for a spray-to-waste type booth. Some units use a backwards-inclined wheel fan that creates a vacuum on one side as it spins. These fans perform well under high static pressure, but their maximum airflow is quite limited—often 10,000-12,000 CFM or less on a large walk-in sized powder spray booth. They are typically well made and more expensive than tubeaxial fans, but suffer from a lack of efficiency because their maximum output requires a much larger motor than many other fans. They overcome high static pressure loads, but this may be unnecessary if the booth is maintained properly and is being used for a spray-to-waste process. If you are thinking about reclaim for your powder operation, remember: Almost all systems where the powder media will be reused feature reinforced wheel type fans. These exhaust systems are typically more expensive, but are necessary when working with cartridge type filtration modules. Squirrel cage fans provide premium performance under moderate load. They are smaller, quieter, and more efficient than many other designs. The dual inlet/dual outlet forward curving fans used in some booths achieve a balance between maximum airflow and the amount of load they can overcome. Because the blades are smaller, better formed and more rigid in these fans, they distort less when they meet resistance. These types of fans are not as widely used because they can be costly and their advantages are greatest for buyers of booths built for very specific powder coating applications. A small dual-inlet squirrel cage fan can move more air than a larger backwards-inclined wheel type fan and can outperform much larger propeller style fans under moderate load. 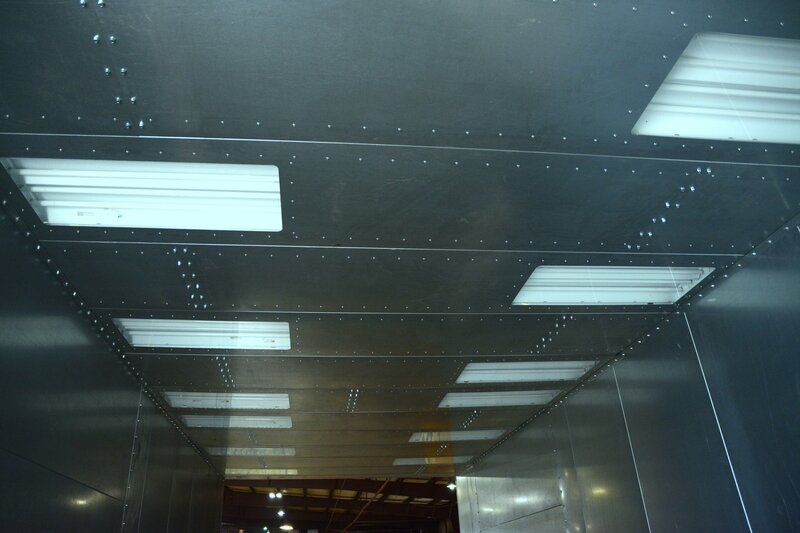 Misconception 3: A powder spray booth needs to have lights in the walls and should be very bright inside. OSHA and other independent organizations have determined that a painting enclosure needs about 100 to 150 foot-candles of light at the object being painted to reach an ideal painting atmosphere—from safety, ease-of-use and production efficiency standpoints. Too much light or poor light quality can detract from this environment. The bulbs used for illumination should have very accurate color rendering to get the best results. Many bulb providers offer high-intensity bulbs that have a rating of over 90 CRI and a color temperature of over 5000° Kelvin. These specially formulated bulbs cost more, but they provide broad spectrum illumination much like natural sunlight. The concept is to match a cloudy summer day where the light seems a little hazy and diffused. Blasting the parts with lights–the “more light is better light” approach–is scientifically unsound. The human eye best discriminates color when the colored surface is compared to a background that is about 18% gray, not glaring white. Well-designed booths help coaters see problems before the parts are moved to the oven to be cured. Coaters also get better color matches. 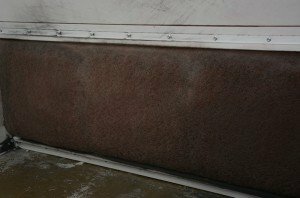 A white powder spray booth interior can be helpful, but a conventional galvanized booth can work fine–if you keep it clean! All of Reliant Finishing Systems’ flat roof booths are designed so that a large portion of the light bounces from our ceiling-mounted fixtures onto the booth walls and then onto the surface of the object being painted. The light is somewhat indirect and much like a cloudy summer day. At the level of most surfaces being painted, the booth walls are not glaringly bright because the light from the ceiling fixtures has dissipated. This is the ideal painting atmosphere for accurate color matching, touch-ups and detail work. Our lighting method creates lighting that is more even in tone. A typical Reliant powder spray booth provides about 150 foot-candles at the center of the booth. Wall-mounted lights make detail work harder and hinder color matching. The painter has to look directly into these lights when he is painting across from them. As a result, backlighting causes the painter to perceive that the surface being painted is darker than it really is. This can cause the painter to miss critical details. Also, he casts a shadow on the parts he is painting whenever he stands in front of a wall-mounted light. As a result, he ends up trying to work on parts that are poorly lit due to his own shadow. Even worse, when overspray gets on the wall-mounted lights, they can tint the perceived color of the object being painted or obscure critical details. A little bit of blue powder faintly covering part of the lights would give a section of a yellow part a faint green cast, making it harder to judge powder coverage. Wall-mounted lights require extra maintenance to prevent botched jobs. Hip-mounted lights can lead to finish quality problems. Booths for wet paint applications that have “hip” style roofs are popular in the collision repair industry because they are cheaper to buy and easy to service. Some of these booths have been adapted for use in the powder coating market, though they are not ideal. This design typically has lights mounted in the hip panels because the ceiling is so small that there isn’t enough room for all of the lights. Some inexpensive hip roof booths also have very short side walls. As a result, a portion of the light coming from the fixture behind the painter is blocked by his head when he works close to the center of the booth. This causes the painter to work in his own shadow. As explained previously, this is not a situation where your painter can excel. Some parts are harder to light than others. Even with well-designed indirect lighting, if you have a ceiling-to-ground object that fills the powder spray booth, or one with curved surfaces (like a fuel tank or an antenna dish), the bottom part of the object may be somewhat shadowed because it is curved so heavily. The correct solution is not to add lights, but to adjust throughput expectations and allow the coater enough time to do a good job. In exceptional cases, a shop may choose to add a better reflector, such as white floor tiles or stain-proof white floor paint when practical. By doing research before you acquire a new powder spray booth for your operation, you can help prevent unpleasant surprises and disappointing equipment performance. Need advice about your powder spray booth? Contact Reliant Finishing Systems at (888) 770-0021 and ask for a powder coating systems specialist. This entry was posted in News on March 17, 2016 by Reliant News.